I’ll be honest with you – I don’t really play a lot of sports games. In fact, Madden NFL 17 is the first football game I’ve spent more than a few hours with since Madden Football 64. To my pleasant surprise, though, I actually enjoyed my time with the game. As you all know, every year comes the day when EA puts out another Madden game. Usually, I expect more of the same – another football sim for another year. There’s always hope that there will be some sort of game changer, but it never really happens. This year, Madden NFL 17 does a lot of things to make the game more fun and accessible, while keeping the main game intact. It might not change your opinion of the series, but fans are sure to have a great time. If you don’t know what Madden is about, it’s simple – it’s a football game. There’s more to it, though – you can play Madden in a few ways. Ultimate Team, Franchise Mode, and just regular quick play. All of these modes have been featured in previous games, so we’ll start with what’s new. 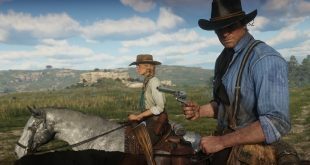 Of course, there are new animations and moves, but other, more important changes have been made that will be immediately noticeable for longtime players. A new added feature is an improved run pass system. The screen shows where your ball carrier is going and in which direction they’re most likely to move. Once you’re running the ball, you can choose to have your ball carrier automatically perform moves that will assist you in making it past the defense. 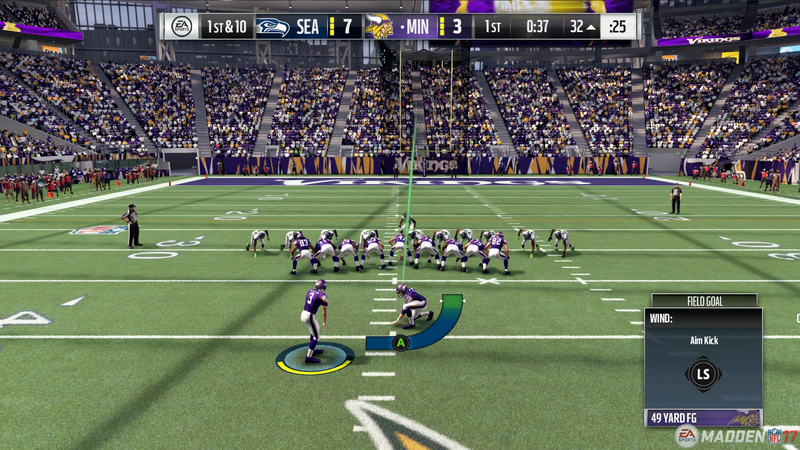 If you’re not quite a Madden pro, it’s really helpful. Ball physics have been improved and are now calculated in real time, meaning no two passes will be the same. This adds a huge amount of tension to each pass. Concept counters is also new. It’s a feature that helps you call plays by analyzing what your opponent is doing and choose an appropriate move. Again, this is an option that really helps players who haven’t been playing every game in the series for the past sixteen years, and it really makes a difference. 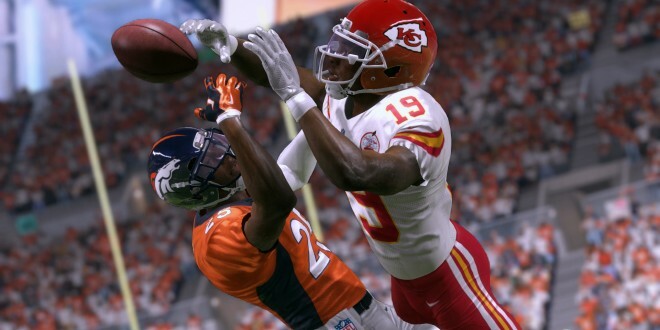 At this point, it’s important for franchises like Madden to focus on bringing in new players while pleasing the fan base – Madden NFL 17 does a great job of appealing to both, as almost all of the accessibility features are optional. 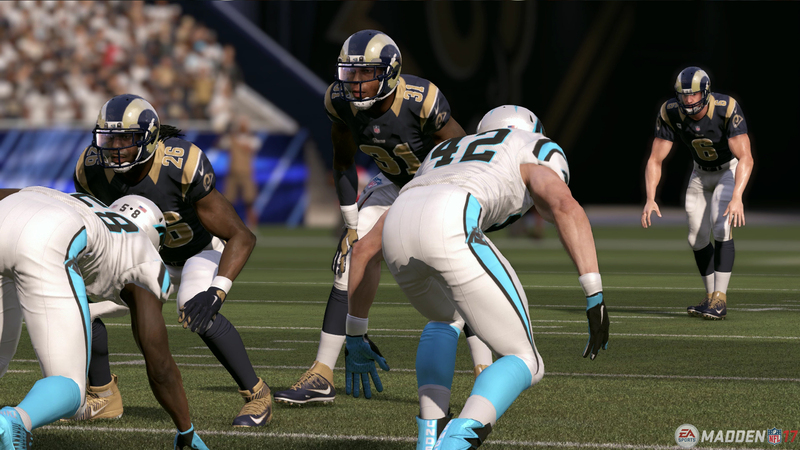 The biggest and most impressive addition in Madden NFL 17 is Play the Moments, which is a feature in franchise mode. 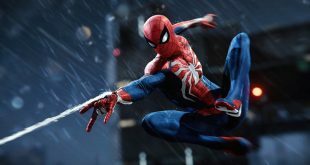 If you’re not feeling like you want to spend an hour playing through every single second of a game, you can choose to just play the exciting parts. Most of the game will be simulated, but you’ll be tapped in for special teams plays, red zone moments, key offensive drives, and the final moments of each half. It may sound cheap, but it’s actually just a more realistic and fun way to play Madden. 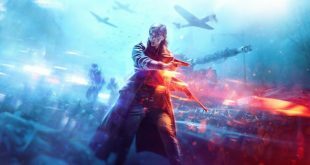 Each full game takes about sixty minutes to play through, and not everyone has the time to play the amount of the games that it takes to finish a season. Play the Moments allows the game to be fast, fun, and accessible for players of all skill levels. Franchise mode is my favorite part of Madden NFL 17. You can choose to play through entire games or use Play the Moments in order to level up your coach (who is totally customizable) and your players. Trade players, run training sessions, decide whether injured players should take time off or play through the pain, and take your team all the way from the preseason to the Super Bowl. 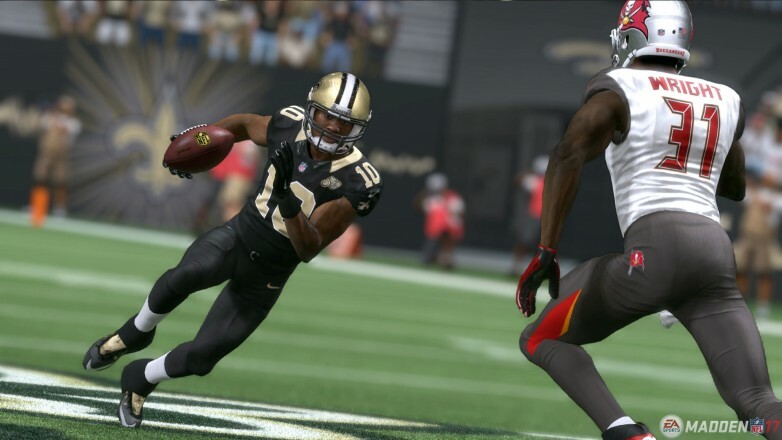 It’s like the story mode of Madden, and it’s the best way to start playing – it’s not very competitive, and Play the Moments makes the franchise mode of Madden NFL 17 great for new players and old players alike. Ultimate Team is back again and it’s sure to hook its usual addicts. Think fantasy football taken to a whole other level. You’ll collect players from teams all across the NFL, and use them to build a dream team that will dominate the field. Honestly, this was the part of Madden NFL 17 that I enjoyed the least. It’s what makes the game great for a lot of players, but the pressure to buy Ultimate Team packs to have a chance of competing online was off-putting for me. When you start up Madden NFL 17, you’ll be able to run through some tutorials to refresh yourself on how to play. Then you can jump straight into the game with quick play. This is the simple gameplay we’ve all known since the first Madden game – pick two teams, select the team you want to play on, and go all out on the field. This is where couch multiplayer comes in and makes for the gameplay that made Madden famous in the first place – going head-to-head with your friends on the football field. Behind franchise mode, this was my favorite way to play. It’s simple, fun, and totally customizable. 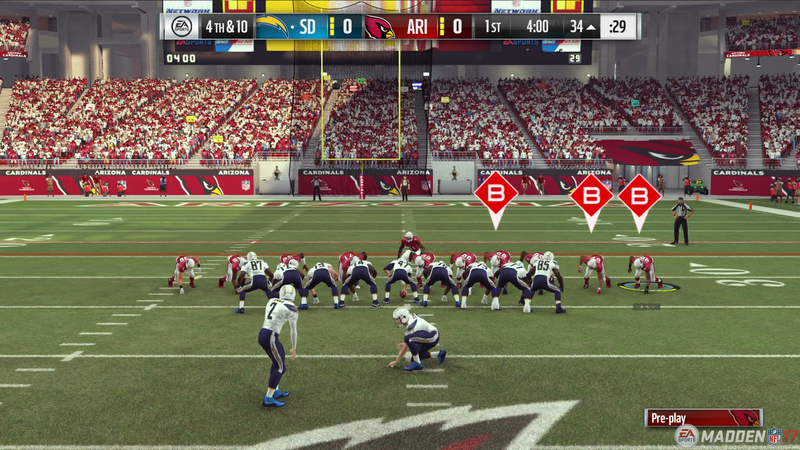 The amount of adjustable settings in Madden NFL 17 is awesome. Are the CPU teams too easy to beat? Are they too hard to get past? If you’re winning too easily or on a never-ending losing streak, you can adjust the difficulty settings to make the game exactly the way you want it. Keep in mind, though, that making the game easier will definitely hurt you if you play online. After all of this, though, there’s something that you probably already know – this is Madden. When you look at all the little changes, it can be really exciting. But the fact is that if you don’t enjoy Madden games, Madden NFL 17 isn’t going to change your mind. If you haven’t played a football game in a long time, it’s worth giving this one a shot with your friends. All in all, I had a good time with Madden NFL 17. I won’t be spending a ton of time with it over the next year, but huge fans of football games will definitely find the new entry in the Madden series very satisfying. You probably already know if you’ll like Madden NFL 17, but if you had any doubts, I hope that reading about the new features helped you out. 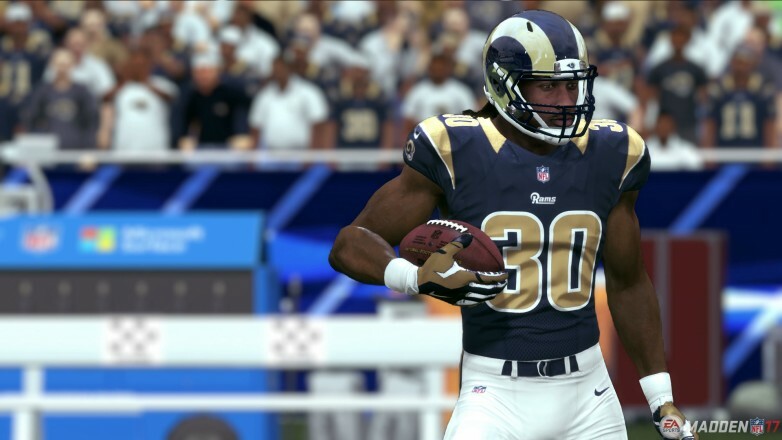 For more on Madden, check out the EA Sports website, and be sure to watch some gameplay. Madden NFL 17 brings new features, new players, and more accessibility to the franchise for a new entry in the iconic football series. Next What’s In Fallout 4’s Nuka-World DLC and is it worth it?